my strength, my hope, my happy ending. believed me when I was pretending. Magnificent! So majestic and exalted, emotions just pouring out, and written with great skill - with a "leitmotif" rhyme, beautifully arranged rhythmic structure... Outstanding work. You are a truly great poet! Very beautiful tribute to daddy. Loved the '...my gale. 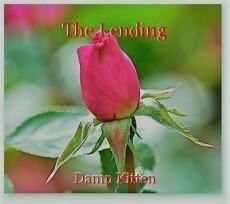 You hold your form when words impale' This was excellent, Damp Kitten! Thank you, my sweetest! Thanks for reading and your amazing encouragement! Oleg gives you truth for sure; Our minds tease, & senses blur! Quite a poet, you my sweet... Your perfection, my retreat!! The way I process, words and thoughts... Mentally, I’m all in knots! Sweet Spy, let me help you with your knots....massage you gently....relax you. Don't you think I can? Sweat one, Megan. :) He sure is blessed to have you write him this. Maybe you could put in o his facebook wall. That's what I did when my father passed away. I read it to him in his coma, and then at both his funerals, and then posted the link to his facebook wall. Oh, that’s a really good idea, DL! Though I hope not a funeral any time soon. But I’m so sorry to hear about your dad. When I originally wrote this and posted about a year ago, one of my friends here used the poem to read to her dad on father’s day. Then she told me about it and it made me smile! I actually wrote this poem on father’s day, and put it up right after I finished. You truly have a great talent for writing poems. I don't even have words to comment, all I can say. It's beautiful! Thank you so much, Pen. I'm so blushing!